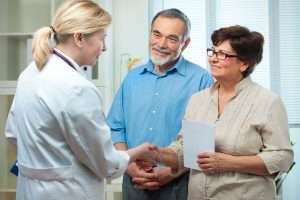 Since no two cancer diagnoses–or the people who receive them–are the same, a combination of therapies usually yields better results than a one-size-fits-all approach. A holistic specialist who takes the time to get to know you, your body, and your diagnosis can customize treatment to maximize positive outcomes. Even patients already receiving chemo can experience the benefits of alternative cancer therapies by combining them with their existing treatment. Fight fire with fire by turning diseased cells against themselves! IPT, a weekly intravenous infusion of short-acting insulin, rapidly decreases the level of sugar in a patient’s blood, “starving” the bad cells to death while preserving healthy cells. Oxygen is the most basic cellular fuel, bringing healing and energy to the body. Why not maximize its powers for fighting cancer? Hyperbaric Medicine, also known as Hyperbaric Oxygen Therapy or HBOT, harnesses the natural restorative powers of oxygen by safely delivering therapeutic doses of 100% oxygen to the body, usually every other day. Lying comfortably inside a pressurized chamber, patients receive oxygen through a mask or hood. Because liquid under pressure readily absorbs gas, the liquid parts of blood cells–plasma–soaks up the extra oxygen molecules directly, inducing healing of acute or chronically damaged tissue. Cancer and its traditional treatments can be hard on the body, causing pain, stress, and a weakened immune system. When fighting cancer, you want to do your best to keep your body as pure as possible so your treatments can work for you. Ion Cleanse Detoxification safely removes chemicals and xenobiotics from the body with the use of a simple foot bath accompanied by an ionizing array that delivers a low-level direct current. This current causes the metals within the array, along with water and salt, to generate positively and negatively charged ions by separating oxygen and hydrogen in the water. This process draws out a number of toxins from the kidneys, bladder, and liver, showing a visible color change in the water within minutes. Learn more about Ion Cleanse Detoxification here. The Get Well Center in Mansfield, Ohio, offers these alternative therapies, and many more, as a way to supplement your chemotherapy treatment, enhancing your healing with intensive and comprehensive natural methods. To find out more about how you can maximize your cancer treatment, contact us to schedule a consultation. We’re here to help you be well.